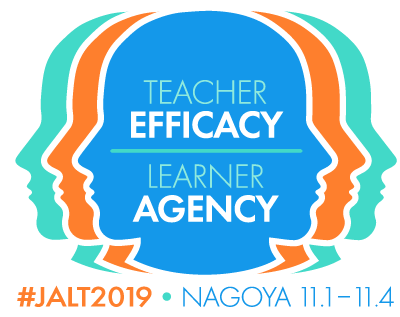 This month’s Talking Points, a foretaste of the JALT National LD Forum, focuses on listening to our students. Jim Ronald starts with a story that, for him, brought home the importance of learning from our learners, then he and Naomi Fujishima will introduce some of their students and their stories. Jim: Here are the students’ stories, either of turning points for them and their language learning or of learning strategies that they have found to be successful for them. 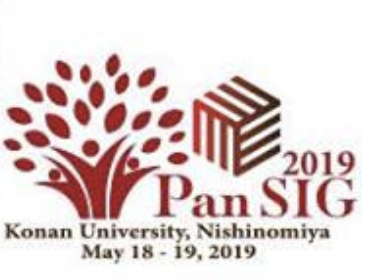 Before this, though, I would just like to tell our readers about an experience I had quite a few years ago at the JALT Conference in Kita-Kyushu. On one evening, three friends and I went to a Turkish restaurant for dinner. One of our group was living and teaching in Kita-Kyushu, and it turned out that the young woman serving us was a former student of his. We hardly talked with her, other than give our orders, but we noticed that her English was good, “Are you enjoying your meal?”, etc. Not only was this reply unexpected, even rude – it struck me most because it felt like it hit the heart of what we need to keep developing as a teacher. Her response has kept challenging me ever since and was, at least in part, what prompted me to propose that we include some learners’ voices in Talking Points. Naomi and I each asked a few of our students to tell us about something of their language learning. When I think about why I learn languages, the first reason which comes to my mind is because I want to make friends with people from overseas. I have met many wonderful friends from foreign countries since I entered my university, and they always made me feel like it’s a shame to give up becoming friends with them just because of a language barrier. That was the first spark for me to start learning foreign languages, and it has kept me to stay motivated by far. To learn languages, I try to keep my attitude positive and active. I try to speak foreign languages with my friends almost every day, in person or via messages, because I want to practice language from each of those daily lively conversations. I don’t hesitate to show my poor ability of language at all, because I believe nothing is lost by asking and making mistakes to learn. 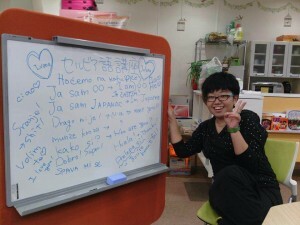 Naomi: In fact, Naoko is now studying Serbian on her own with a research student from Serbia! Jim: The next person is Saki, who graduated in 2014. She always struck me as a good but not outstanding student. But I saw her change over a year or two, to become a person who looked for a job in which she could use English, and who has thrived in that environment. This will start with her reflections, and finish with her latest Facebook post! 1. Studying abroad: I really like English and I always got a good score at exams but when I went to London in the summer of my 2nd year at uni, it was really hard for me to make myself understood in English. 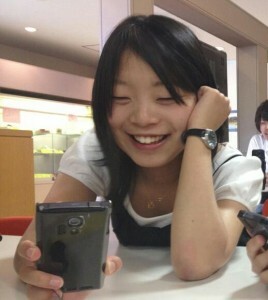 However, only one month studying abroad made me motivated to learn English. 2. 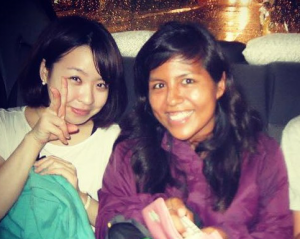 Travel by myself to Singapore and Malaysia: After having a chance to interact with Singaporean students at a cultural exchange event at university, I decided to travel to Singapore to see how life is in a multi-ethnic country. I realized throughout the trip, English is the common language. And people each speak their own English. After coming back to Japan, I got very motivated and decided to join an English volunteer event as an opportunity to speak English. For me, going abroad broadens my horizons and every time it makes me feel I want to talk with foreigners in English more naturally, as I do in Japanese. That’s why I keep studying! Naomi: Yosuke tells us about how he learned English. He is now a graduate student in the Faculty of Education, and this is what he says. I think the key to success for language learning is “touching” the target language as much as you can. To attain that, I guess the most important way to touch language is communication. Interacting with people who speak your target language gives you opportunities to listen, speak, learn vocabulary and pronunciation, etc. That is the most effective way to improve the language. Studying abroad is apparently the best one to have those opportunities. Actually, I was able to make my English much better through it. Also, I learned from studying abroad many things about how to communicate in English successfully. For example, when I speak English, I always try to express myself with clear body language or facial expressions, and sometimes make jokes to facilitate and activate communication. Throughout good communication with people from other countries, we can touch well the target languages and it leads us to successful language learning. However, there are many things that we can still do to improve our target language besides communication. I personally try to have opportunities to touch English by watching some English videos that I’m interested in on YouTube. Sometimes I even speak English to myself to practice. I believe it also works and helps my language learning. Last year I joined a six-month program in Portland, Oregon. Before I left for America, I decided to avoid using Japanese as much as possible. However, there was a problem. The school which I attended accepted so many Japanese students, so around 70% of all students were from Japan. When I heard this fact, I was so shocked but I didn’t want to change my intentions. Fortunately, I got along well with Taiwanese students there so I spent my school life with them. Thanks to them, I didn’t need to use Japanese!! 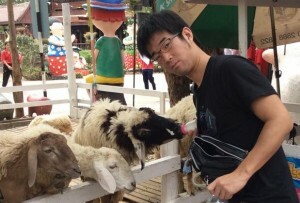 However, I sometimes felt that some Japanese students regarded me as an unusual person. Of course, it’s so uncomfortable for me to be regarded like that. However, the most important thing for me is how I can practice English, and how I can broaden my world. Therefore, I kept my faith, I held out, and now I think my experience in America is a great legacy in my life. Takahiro: When I started learning English seriously, I focused on vocabulary because I thought vocabulary is most important. 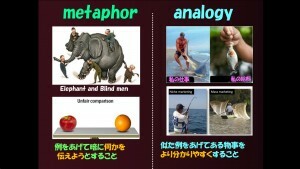 The unique point of my strategy, developed by a Mr Okino, is that I used image slides (see picture) to beef up my vocabulary. 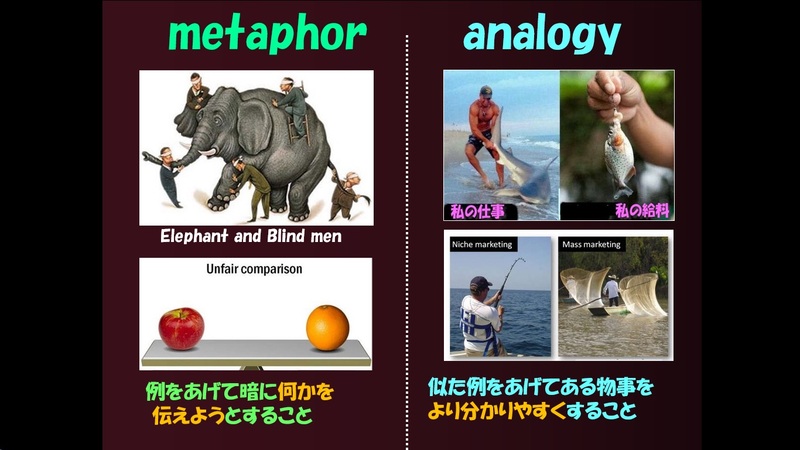 According to some research, using images like this can increase memorization by 2.5 times that of a normal method like tangochou (vocabulary notebook). What is more, my purpose was to increase my TOEFL score so I picked up words from TOEFL textbooks and made or found image slides for them, then I reviewed 200 slides a week and kept going. I have learned over 2,500 words this way. It’s hard to write my idea and experience to words, especially when it comes to language acquisition. For English learners whose lives are based in Japan, I think motivation is essential because its process lasts very long; almost there is no end. Without motivation, people would not be able to have the absolute quantity of learning time. 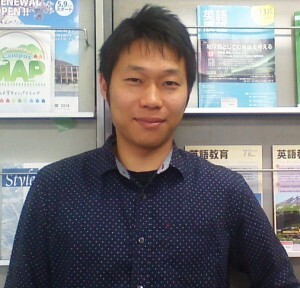 In university, I met many people who were interested in improving English. But, they didn’t want to spend time studying it. Their motivation is low? I don’t think so. That is because they were actually interested in studying abroad, and some of them even applied for it. Looking for the reason, I find one possibility: self-discipline. They actually have motivation, but they might not be able to take it into action. Self-discipline could be one of the factors which differentiates them. Looking back at my history, there are some possible reasons why I have kept studying English, but one of the most significant factors could be that ability; for example, to plan what to do: to make my study schedule, to watch movies in English, to listen to Podcast in English, to read articles in English; and to follow those rules that I make. I have just done what I thought was needed. Sometimes, students asked me how to learn English, but I couldn’t tell anything special. What I have done is what others also can come up with. Nothing special. The problem is that self-discipline is not what we can teach easily because it is developed through various experiences. But I don’t want to finish the discussion with the only one reason because if I finish it, education will be over. That’s why I tried to think about how to discipline oneself naturally. Then, I conclude with a for-the-time-being answer: finding the most suitable way for each person enables one to keep studying as a habit. You don’t have to feel stress in order to discipline yourself; rather, you should find a way to follow your own rules with fun. The important thing is to keep your own word in any way. Self-discipline is a topic related to mental state, and I don’t know how to teach it to others. That’s why I don’t want to say it in a public place. Generally speaking, people like to know visible and concrete methods more than something connected with mentality. However, I think it is self-discipline that domestic-based language learners need so as to translate their interests into action.